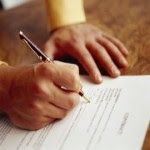 Contract awards dominated the headlines in the GovCon sector this week but the multibillion dollar program known throughout the industry as “Dim Sum” was the one all observers had their eyes on in anticipation of who would be selected. 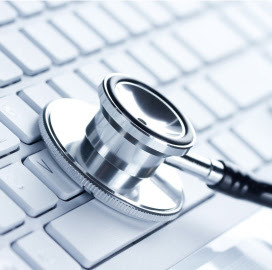 That wait came to an end Wednesday when the Defense Department announced it selected a consortium of Leidos, Kansas City-based health information technology firm Cerner and Accenture’s U.S. federal subsidiary to integrate an electronic health records system for the military under the Defense Healthcare Modernization System initiative. “Dim Sum” — or DHMSM — has an approximate ceiling value of $4.3 billion over a 10-year ordering period and current DoD estimates have the entire program cost at $9 billion over 18 years. 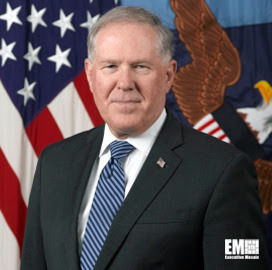 Pentagon acquisition chief Frank Kendall said the Defense Department wants the EHR system to cover nearly 9.5 million beneficiaries and 250,000 care providers once fully in place, which DoD intends to have happen by 2023. 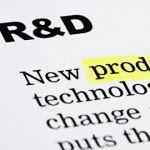 This landmark contract featured three industry teams in the final round of bids, with each group comprising a health IT company and some of GovCon’s most notable firms. 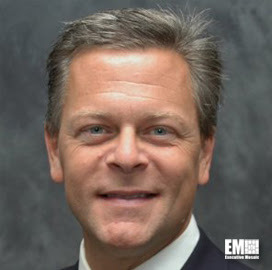 Jerry Hogge, deputy president of Leidos’ health solutions group, described to EHRintelligence in November 2014 his team’s idea on how to help the Defense Department achieve interoperability between the future “Dim Sum” setup with other health records and information systems like it. 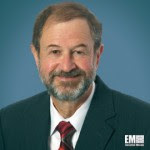 “If you examine the evaluation criteria for this project, you quickly get a sense that the approach to deployment, and the approach to interoperability, are key attributes of the selection process,” Hogge told the website. Continue reading after our Potomac Officers Club event summary to view our selection of the week’s significant contract awards and other major GovCon sector developments. 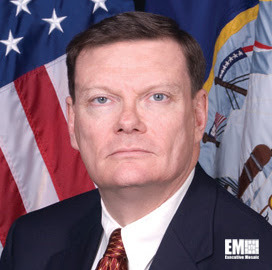 The Potomac Officers Club is excited to host Pentagon Chief Information Officer Terry Halvorsen Thursday for part two of the “Innovation in Defense & Intelligence” events, a portion of POC’s larger “CIO Speaker Series” for the summer and early fall. 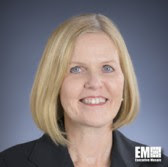 Halvorsen will continue the technology and spending environment conversation from part one held earlier in July that was led by Doug Wolfe, the CIA’s CIO and a panel of leaders from the GovCon and intelligence communities. 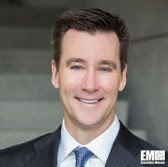 Other federal technology and procurement leaders scheduled to speak during the series include Transportation Department CIO Richard McKinney on Aug. 20, Army acquisition chief Heidi Shyu on Sept. 2 and the General Services Administration’s Chris Hamm on Sept. 24. 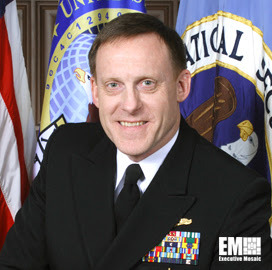 Additionally, we are excited to announce that Navy Adm. Michael Rogers, head of the National Security Agency and Cyber Command, has been lined up to address the POCOct. 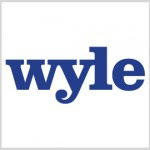 15 for the 2015 Cybersecurity Summit. Click here to sign up for these events and view POC’s full calendar. SOCOM received 17 offers for the five-year contract and awardees will perform work in the U.S. and overseas. The space agency awarded a series of five-year contracts worth $190 million combined for work on propulsion and communications technologies. Awardees will engineer and integrate C4I technologies for foreign militaries and the Navy, who received 22 proposals for the three-year contract. 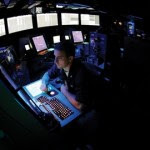 Six proposals were submitted to the Navy for the potential five-year contract to help configure ATC, meteorology, oceanography and aviation C5ISR systems. The potential 10-year contract covers services at the Johnson Space Center in areas such as operational medicine and behavioral sciences. 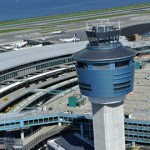 DIA awarded the order through its SITE vehicle, which ManTech gained access to through its October 2011 buy of WINS for $90 million. The Engility subsidiary will work with the Air Force to update technical baselines and analyze processes for GPS functionality delivery. 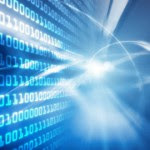 Researchers at the university’s Software Engineering Institute work with public and private sector organizations on methods to secure computer networks. 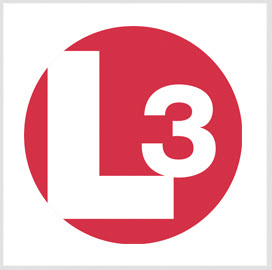 L-3’s national security solutions segment offers cybersecurity services to customers in the government and commercial sectors. 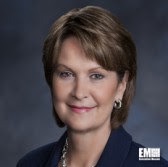 Lockheed’s CEO describes her company’s move to separate its IT and technical services businesses — including its commercial cyber segment — as in response to changing market dynamics and agency priorities. 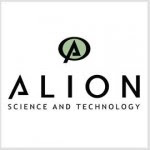 The private equity firm acquired McLean, Va.-based Alion for the contractor’s footprints in the U.S. defense and civilian markets, as well as international. The department will award IDIQ and standalone contracts to professional services through OASIS and its small business counterpart OASIS SB. Microsoft’s worldwide public sector lead also overviews the mobility market’s picture in Q&A with ExecutiveBiz. 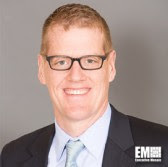 SafeNet AT’s sales VP also shares his views on what cybersecurity information sharing could look like in interview with ExecutiveBiz. 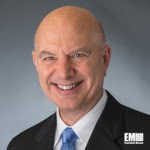 The director of Cisco’s U.S. public sector partner organization discusses how agencies seek to increasingly connect people and devices with ExecutiveBiz. More than 3,000 bidders are in the running for the five-year BPA that covers services to help address the breach on OPM’s security clearance database. The 36-year Army veteran elevates to the director role after two years as the agency’s vice director and also has served as DISA’s chief of staff. This entry was posted in Publishers Corner and tagged Air Force, Alan Lynn, Alion Science, Army, Bahman Atefi, Bill Varner, Booz Allen Hamilton, Carnegie Mellon, Cerner, Chris Hamm, CIA, CIO Speaker Series, Cisco, CSSI, Cyber Command, Defense Department, Defense Healthcare Modernization System, DHS, DIA, Diane Gongaware, Dim Sum, DISA, Doug Wolfe, Executive Mosaic, ExecutiveBiz, Frank Kendall, GovCon, GovCon Exec, GSA, Heidi Shyu, Innovation in Defense & Intelligence, Jerry Hogge, Jim Garrettson, L-3, Leidos, Lockheed Martin, ManTech, Marillyn Hewson, Michael Rogers, microsoft, NASA, National Security Agency, Navy, OASIS, OPM, Potomac Officers Club, Richard McKinney, Safenet Assured Technologies, Serco Inc, SITE, Software Engineering Institute, Special Operations Command, TASC, Terry Halvorsen, Tom Callahan, Tom Sharpe, Tony Smeraglinolo, Veritas Capital, Weekly Roundup, wes anderson, WINS, Wyle. Bookmark the permalink.